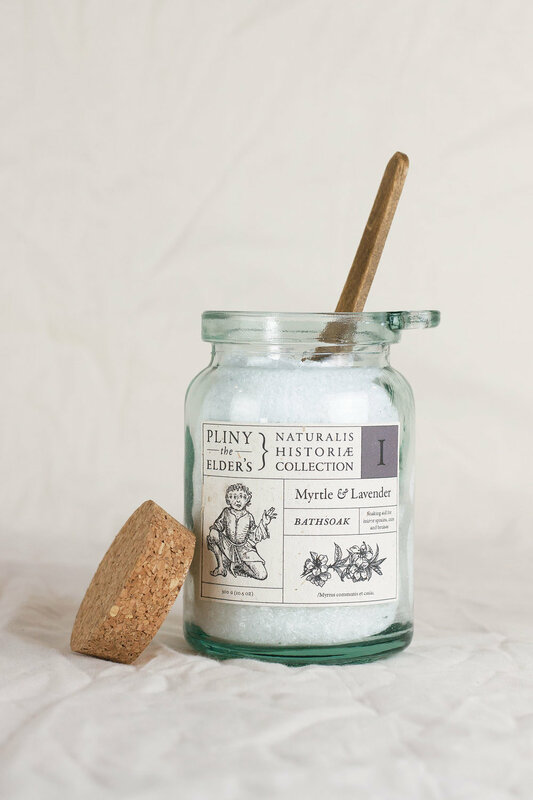 One of the first documentations of soap can be found in Pliny the Elder’s Naturalis Historiae. Pliny’s text served as a guide for encyclopedias to come, and documented strange and exotic creatures, ancient remedies and practices, and was the first of its kind to document the process of making soap. 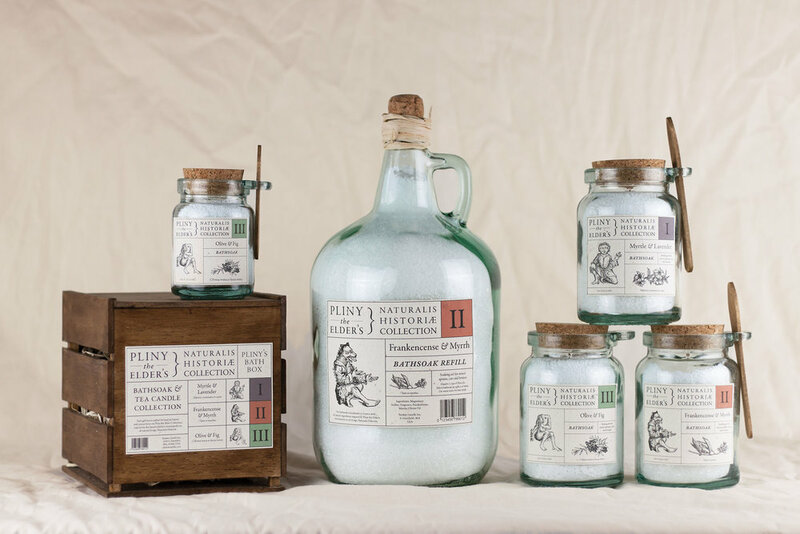 The graphic system was designed to reflect the storied history of the ingredients and soaps, and clear glass bottles were used to convey a sense of transparency and purity. The three figures are interpretations of different mythical creatures Pliny documented in his encyclopedia, and the typographic system is derivative of ancient Roman figures. Recycled paper was waterproofed and used as the bottle labels. The gift box is handmade and stained to enhance the brand story. 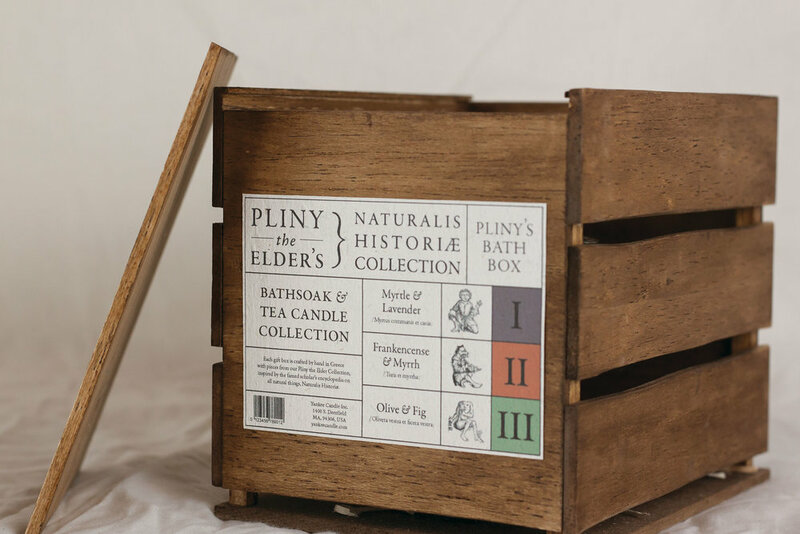 Pliny the Elder's Naturalis Historiae Collection is a line of natural and sustainable spa products. 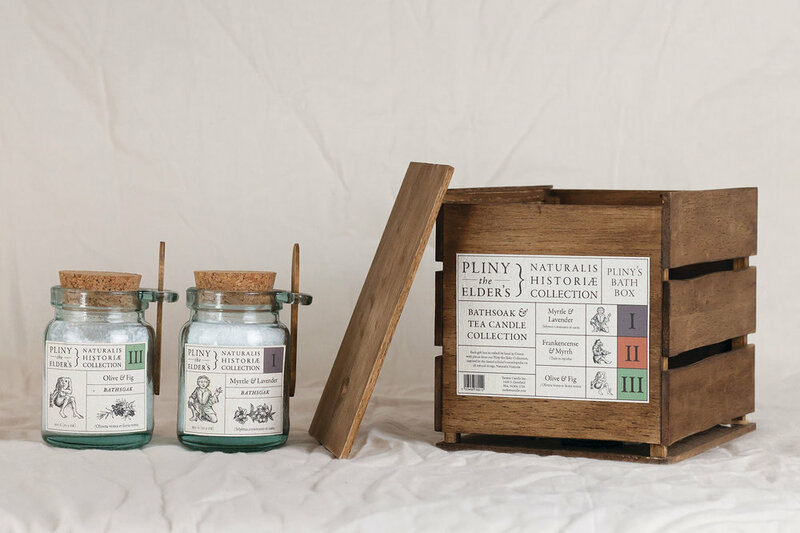 Each product is made from 100% natural ingredients, many of which you would find in Pliny's original encyclopedic texts.